Thanks to some of today’s reality TV shows, the words “Smile Makeover” has become a household term. There are a variety of cosmetic and restorative dental solutions that can be involved in a smile makeover. Patients seek out dentists with new dental technology experience to achieve their ‘Hollywood’ smile. Accompanying the smile makeover, patients walk away from Mitchell Dentistry with an improved level of self-confidence. A confident smile positively affects both emotional and social relationships. Dr. Mitchell has dedicated his life to improving patients’ oral health and designing effective and least intrusive treatment plans to create beautiful, natural looking and healthy smiles. Mitchell Dentistry mixes advanced technique with state-of-the-art technology to provide Fort Myers patients with stunning smile makeovers. With over 30 years of dental experience, Dr. Mitchell continues to stay abreast of new dental advancements and the latest equipment. As a family dentist practice, patients trust Dr. Mitchell’s dedication and service. It keeps those patients coming back for additional solutions and referring the office to friends and family. No matter the procedure, a patient will walk away with aesthetically pleasing solutions. We keep aesthetic results in mind when attending to all dental concerns. A smile makeover may consist of one or several procedures. During the consultation, a patient’s oral health is fully examined. The treatment plan is based on both the individual’s requests and medical diagnosis for optimum results. Some desired treatments may require additional dental procedures before cosmetic enhancement begins. A beautiful smile’s foundation is always healthy teeth and gums. Teeth Whitening – In-office Zoom! Whitening and take-home teeth whitening procedures offer quick results for stained teeth. Porcelain Veneers – Veneers are sometimes referred to as “instant orthodontics”. They can straighten out the look of the smile line in minutes. All On Four procedure - Dental implant supported dentures can dramatically enhance your life if you struggle with loose fitting dentures or missing teeth. CEREC crowns (a metal-free, same-day solution) It helps to repair severely decayed or damaged teeth while saving a good portion of the original tooth. CEREC procedures are a one visit solution as compared to traditional crowns that require two appointments. An aesthetic smile is just around the corner. 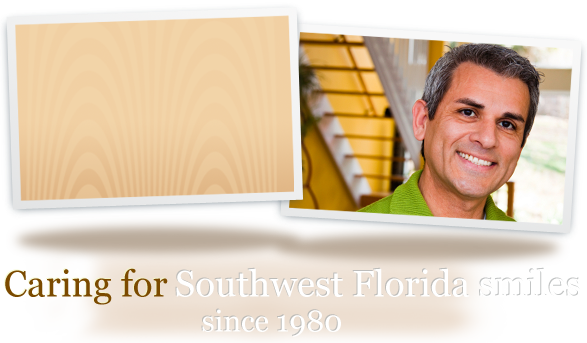 Explore cosmetic and restorative treatment plans to create a beautiful smile at Fort Myers Mitchell Dentistry. Call to discuss your smile makeover today!